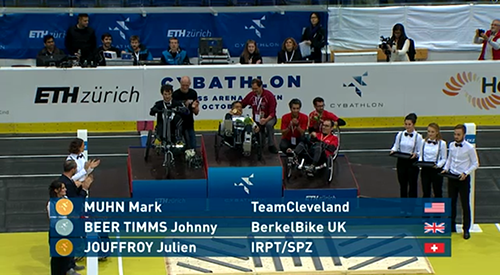 Congratulations Mark Munn, Ron Triolo, and Team Cleveland on winning the gold in the first ever Cybathlon! Our investigators, engineers and support staff. 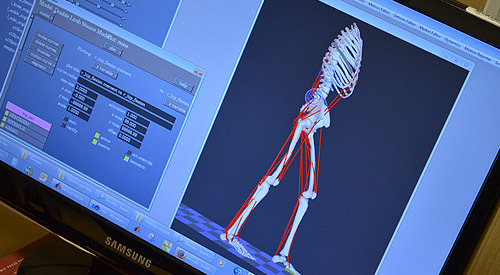 Our areas of focus: Neural Interfaces, Prosthetics & Orthotics, Health Monitoring & Maintenance, Enabling Technologies. 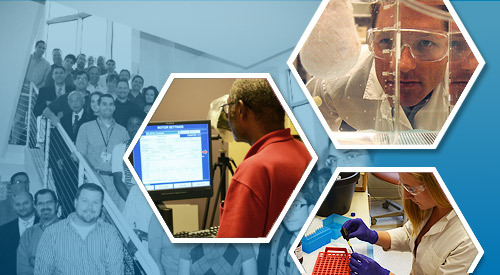 The Advanced Platform Technology (APT) Center is a Department of Veterans Affairs Research Center in the Rehabilitation Research and Development Service. The Center addresses the pressing clinical needs of disabled Veterans by harnessing the most recent developments in untapped engineering and basic science disciplines, and applying them to design and disseminate new rehabilitation interventions. We facilitate the creation and clinical translation of novel, cross cutting devices or methodologies within a framework that promotes regulatory compliance, outsourcing by contract manufacturers, clinical testing, and dissemination throughout the rehabilitation community. Our unique and supportive environment enables APT Investigators to develop advanced assistive or restorative technologies that serve Veterans with sensory, motor, or cognitive deficits, as well as limb loss. Our R&D and translational programs focus on Prosthetics & Orthotics, Health Monitoring & Maintenance, Neural Interfaces and Enabling Technologies. 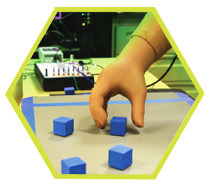 Center projects address new materials and microsystems for communicating with the nervous system for novel neurotherapeutic or neuroprosthetic interventions, mechanisms and optimal delivery of electrotherapy to accelerate wound healing or modulate chronic pain, novel sensing systems for point-of-care blood analysis and personalized health, replacing or restoring limb and pulmonary function, long-term monitoring of bladder status through wireless sensors, novel active exoskeletons and articulated support structures that enable locomotion and stair climbing, and advanced neurally-integrated prostheses to restore sensation to upper or lower limb amputees. Sign up here for the latest news delivered directly to your inbox.